What is my secret to crystal clear pool water in the spring? 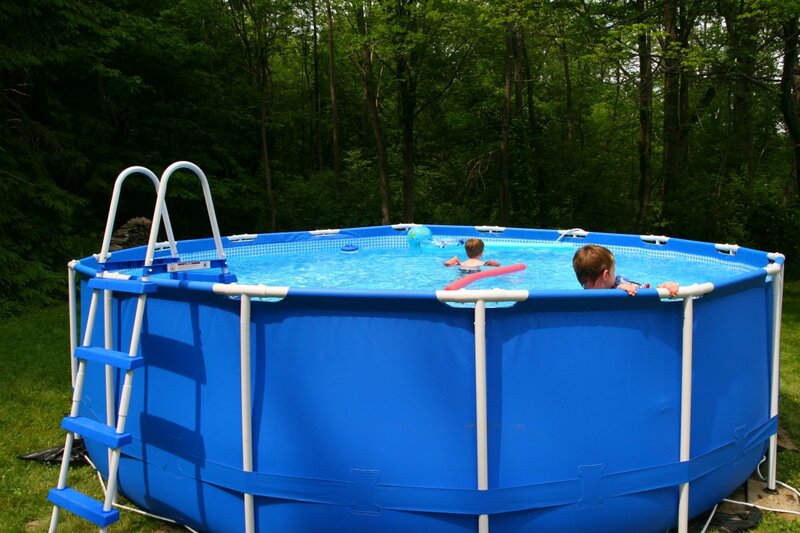 What is my secret to clear pool water when opening my inground pool in the spring? When the cover comes off, the pool water is crystal clear and all the debris has settled to the bottom. Most pool owners ask “How is this possible?” The most common sight when opening a pool is green water and bugs swimming around. 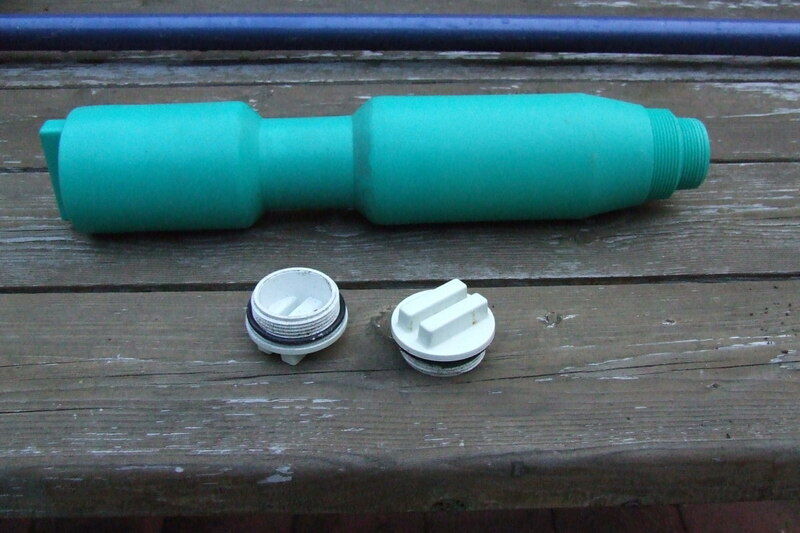 If you want to make opening your pool easy, you need to close it properly, the secret is in the winterizing kit. When purchasing a winterizing kit for your pool, make sure it has a floating non chlorine sanitizer dispenser; it will slowly release sanitizer throughout the winter into your pool water to help keep it clean and clear. 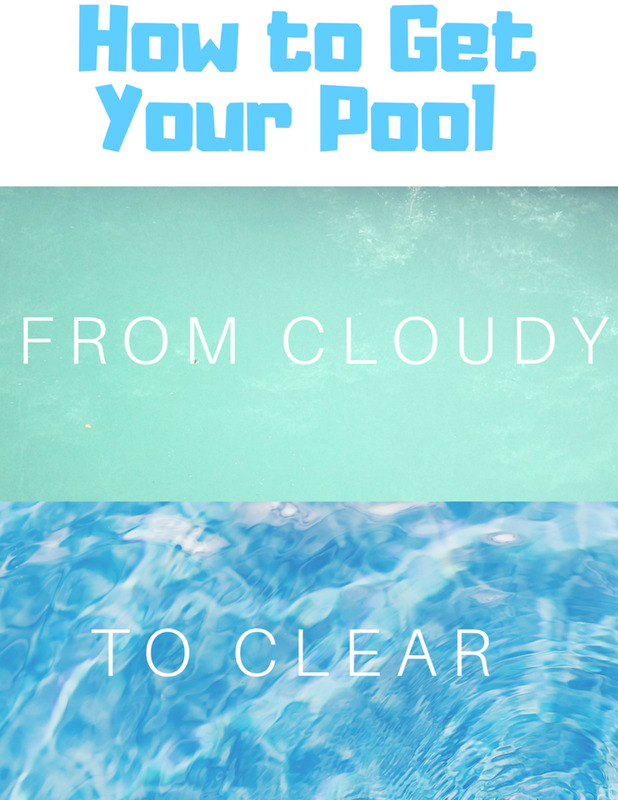 If you close your pool correctly and follow the directions on the winterizing kit, your pool water will stay clean and clear, making it much easier to set your chemicals to their proper levels in the spring. You hear the buzz, people talking about how hard it is to maintain a swimming pool. From my personal experience, I happen to think it is very easy, especially with the new technology for pools. I have owned above ground and inground pools for over 30 years and maintaining a pool gets easier every year. 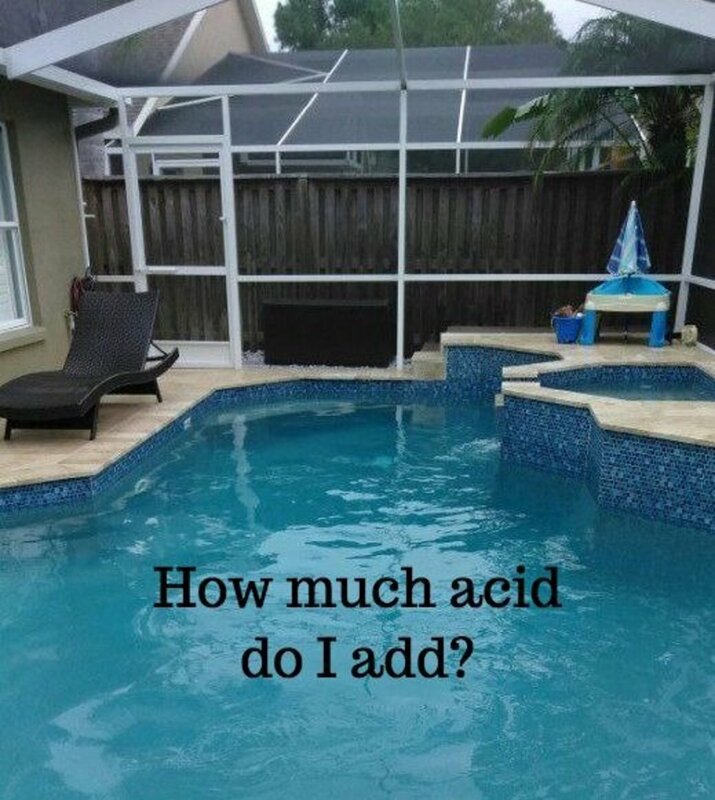 You basically set you chemicals to their proper levels, throw in some stabilizer, fill you chlorinator and you're done messing with your pool for the next month. But let’s not get off track here. Safety covers are the best protection for your pool and your family. A safety cover will also save you time and money in the long run. First thing you should do is remove the cover. If you have done your homework, you would know that having a safety cover is the best type of cover to have on your pool. 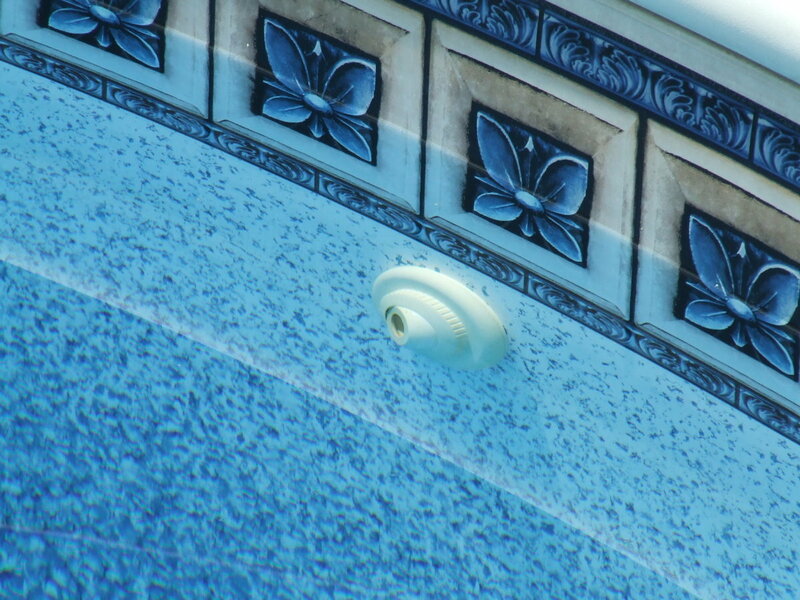 Not only does it save adults and kids from drowning, but it also keeps out most of the flying debris while your pool is closed. 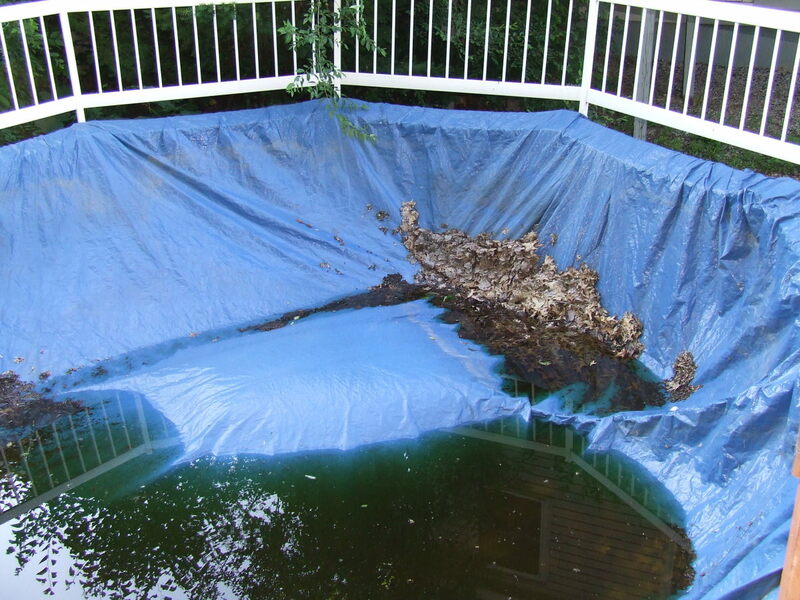 If you have a cover that sits in your pool water and collects debris throughout the winter, your pool water turns into swamp water and it is a long process clearing it up in the spring. Having a safety cover on your pool makes pool ownership very easy. Just take out your leaf blower and clean it off, it’s that easy (It’s nice that you don’t have to use a sub pump to remove the water from the cover). Remove the cover and hang it to dry. Never put your pool cover away wet, not only does it get moldy, it may also attract carpenter ants, and they will destroy your cover. If your water level is low fill it to the proper level which is between the two middle screws on the skimmer or half way up the skimmer. You may want to add extra water to the pool because when you’re vacuuming the pool for the first time, its best to vacuum it with the diverter handle in the waste position so the debris is discharged without sending it through the filter. 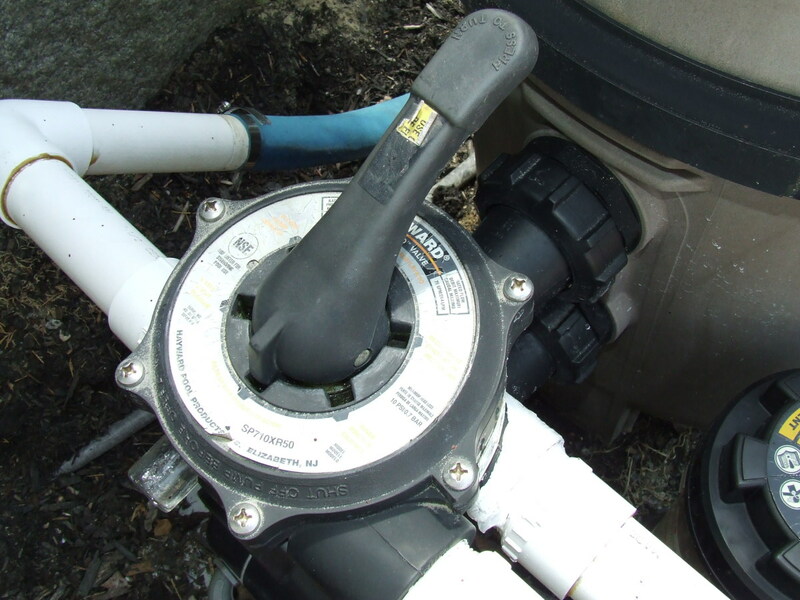 Remove your plugs from your return lines and install the directional nozzles, take the gizmo out of the skimmer and install the basket, turn the handle on the return lines at the pump to receive water from the pool again and install the basket at the pump. Prime the pump with a bucket of water (fill the return lines with water at the basket on your filter, just dump a 5 gallon bucket of water in the basket assembly slowly and the return lines will fill up, make sure all your plugs are in the pump before filling) Set the handle on the diverter valve to waste and turn on your pump to discharge the antifreeze. It is important to set the diverter handle to waste when first running your pump because if you live in a climate that freezes, most likely you have pool antifreeze in your lines so they don’t freeze. Flush out the lines for about 30 seconds and turn off your filter. Set the diverter handle to filter and turn the pump back on. If everything seems to be working properly, then it’s time to clean your pool. 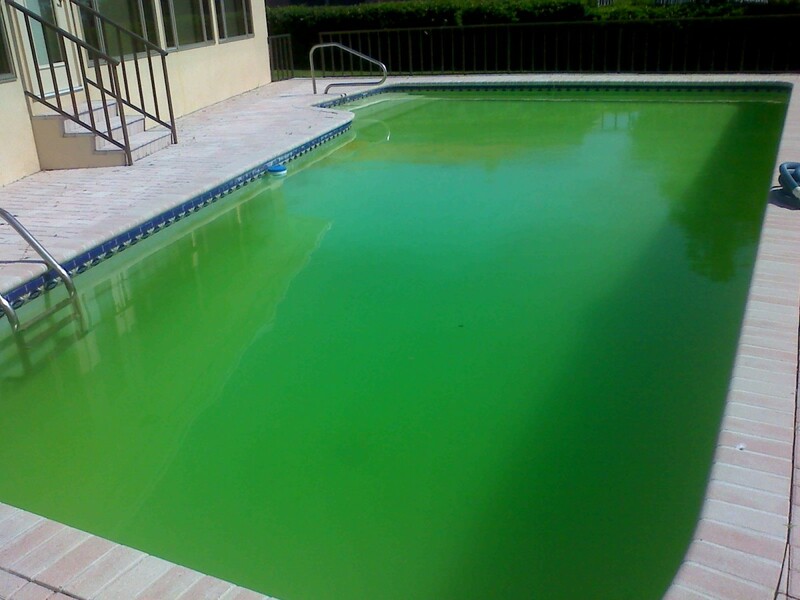 If your pool is green and you can’t see the bottom, do not shock the pool first with chlorine. First use an algaecide to kill the algae. Wait a day, vacuum up the dead algae and then shock the pool. If your water is clear but you can see algae on the bottom, use algaecide first to kill the algae and vacuum it the following day. If you were to shock it first, the invisible algae in the water would turn green and your pool water will turn green. 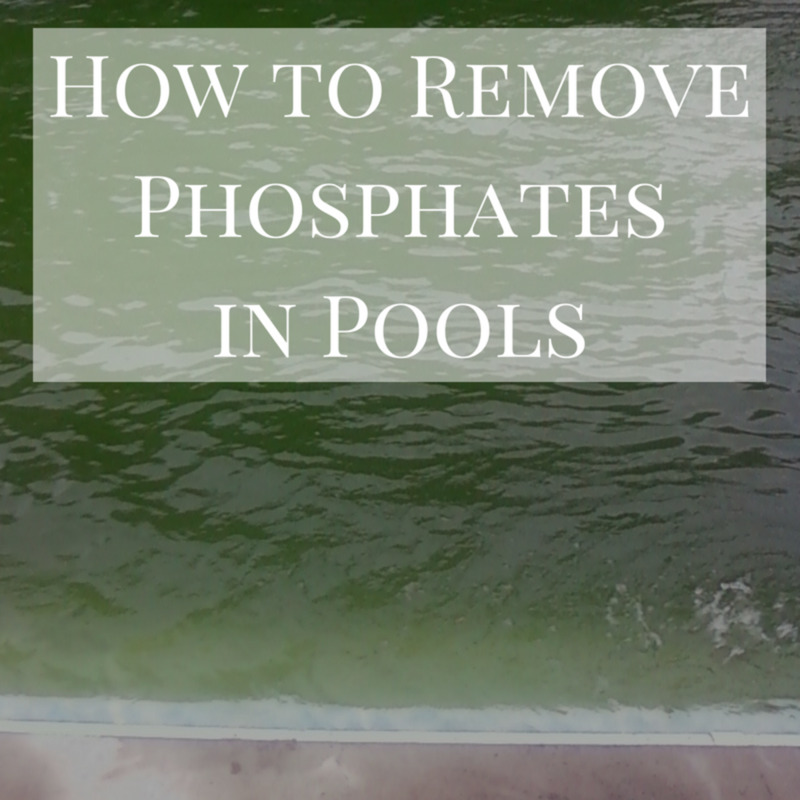 If your water is clear and there is no sign of algae, you have closed your pool properly (congratulations) you can now test the chemical levels in your pool and adjust them as necessary. 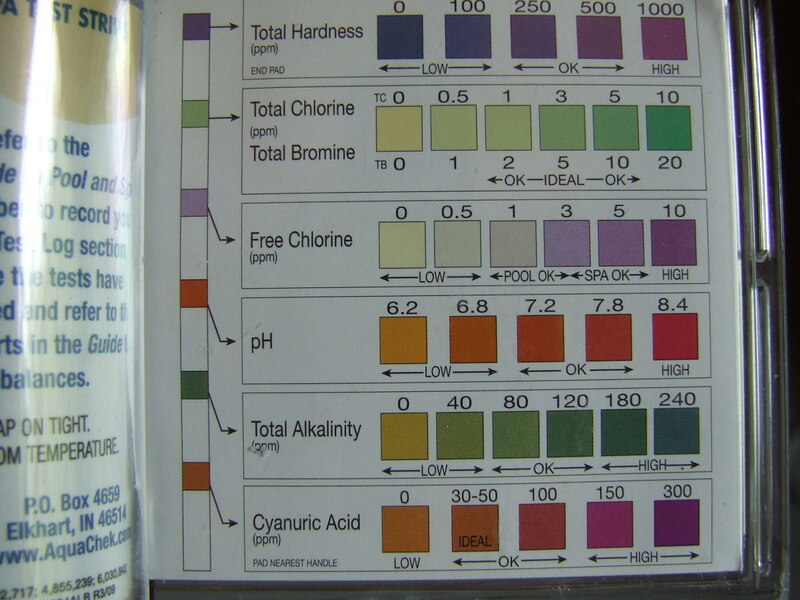 When adjusting the PH (soda ash), alkalinity, hardness and chlorine levels, I like to first set the hardness, then the alkalinity, I find my pool water doesn't have much PH bounce when adjusting the chemicals in this order. Setting the PH last seems to work best for me. 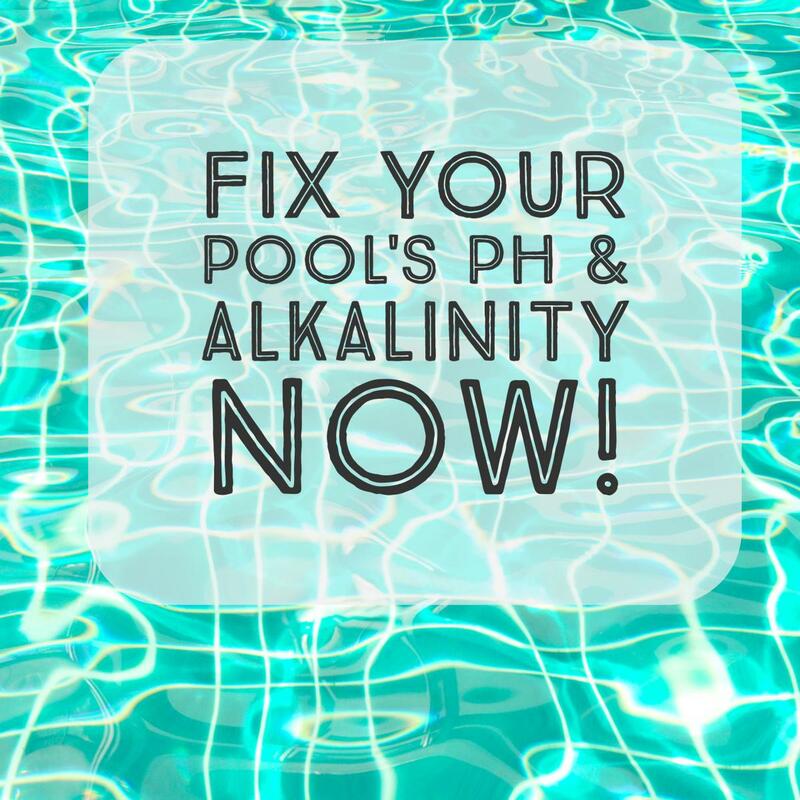 If you set the PH first, the PH seems to skyrocket when adjusting the alkalinity. Last, set the sanitiser level, chlorine or bromine, I use chlorine in my pool but bromine in my hot tub, the reason is Bromine seems to be more stable in hot water. Setting the hardness is very important, after you set the hardness in the spring, you usually don’t have to touch it for the rest of the season. 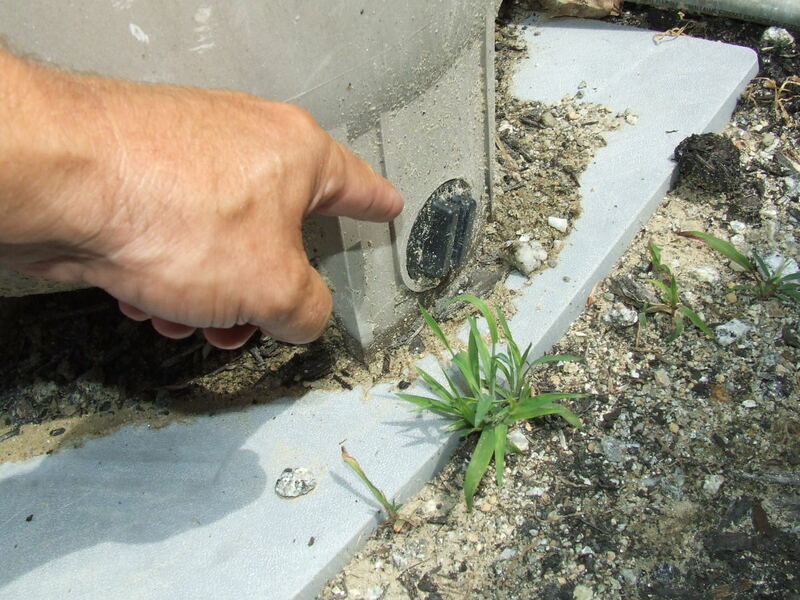 Hardness protects the plumbing of the pool from corrosion. Most test strips do not have hardness, so look for test strips with hardness on them. I prefer to use liquid test kits because they seem to be more accurate, it’s a bit more work but it’s worth it. Most test kits will have the desired level each chemical should be set at. When adjusting the chemical levels in your swimming pool, don’t expect them to adjust quickly, you need to give them time to acclimate, at least a few hours between tests. Adjusting the chemicals in your pool may take a few days, so don’t rush the process, getting it right the first time will save you time and money. Once you have the chemicals right you can add water stabilizer, this helps maintain the chemicals at their proper levels. I highly recommend a pool safety cover for easy spring clean up and safety. If opening your pool is a pain every spring, you’re closing it the wrong way. Buying yourself the proper winterizing kit can save you time and money, it can also add time to your swimming season if closed properly in the fall. 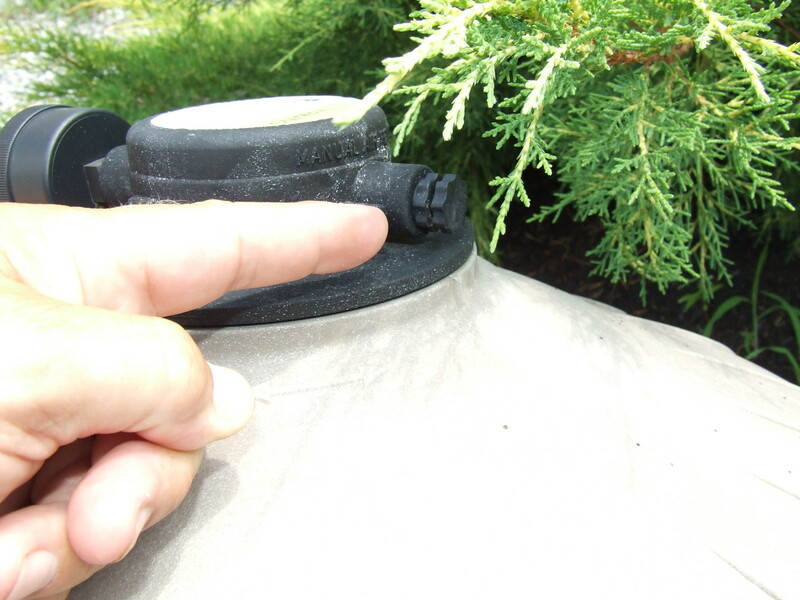 Each winterizing kit is labeled for the size pool you have or by how many gallons your pool is, it is important to buy the right kit for your size pool. If you happen to buy a kit for a 15000 gallon pool and yours is 25000 gallon, there will not be enough chemicals to treat the water properly and your pool will be green in the spring and you will have wasted $150. Don’t try to save money by buying the smaller kit, because it will cost you big time in the long run. 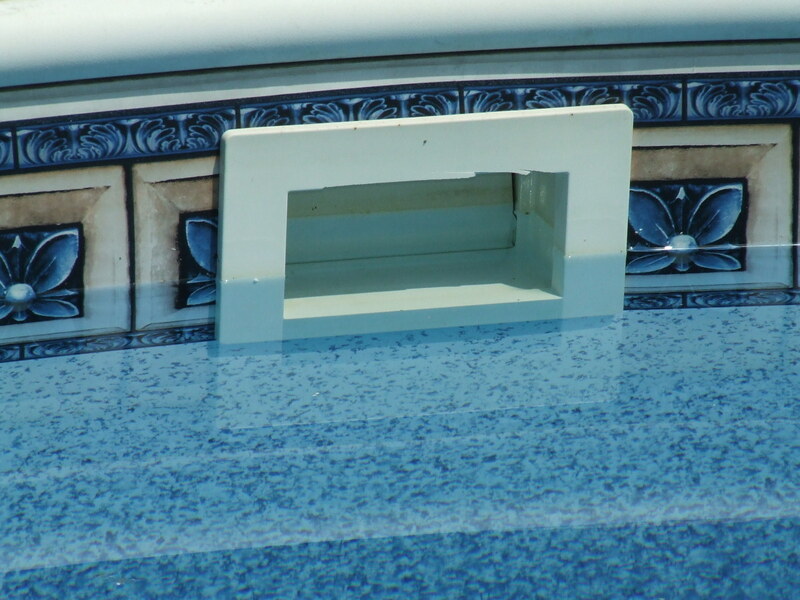 Not having a pool cover on you pool will shorten the life of your liner, the sun is very damaging to an exposed liner because the water is not there to protect it and the liner looses all its polymers. 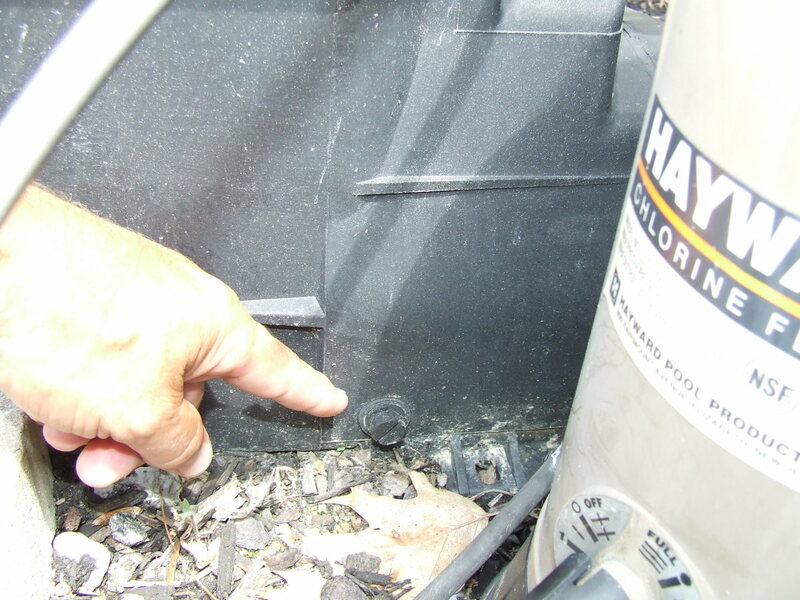 Your pool should be drained below the return lines, thus leaving the upper half of the liner exposed to the elements. Also keep in mind the flying debris between fall and spring that will enter your pool water while your pool is closed. Springtime is the worst for debris; all the buds are dropping from the trees and blowing in your pool. Having a safety cover makes spring clean up a snap, just bust out the leaf blower and in ten minutes you’re done, sometimes Mother Nature takes care of it for you. Please do me a favor? In spite of shocking, using algaecide and filtration, my pool is still green and cloudy. What else should I do? Did you try the Banish yet? This will kill the algae in less then 24 hours and will start the cleaning process. See my other article on "I Had The Worst Algae This Spring"
That just made my day :) Thank you very much for taking the time to write some feedback, I really appreciate it. best, simple pool opening instructions I have read and I have read many. I have seen different suggestions for clearing out the antifreeze. Would you want to leave the return plugs in and just take out the skimmer gizmos out first when clearing the lines and sending the antifreeze out to waste the first time you prime and start your pump. Then stop the pump, remove return plugs and restart the pump? I haven't posted for a while! I did get my pool cleaned out from all the algae. They stated it was from the hot days we had so early in season and should have pulled back corner and added some liquid chlorine until opening. It took me a while to get it cleared. I had to add muratic acid slowly a couple of times and shock it. Evently it cleared up over a few days. Thanks for your help....will keep site handy as it is very informative!! Yes, have the pump running on filter, but keep and eye on the pressure (the flow of water coming out of the return lines) because the filter will need back washing every few hours depending on the style filter. I'm not sure where you live Mamaof2, but here in New Hampshire, our poos were the worst ever because of the warm winter and extremely warm spring.I have never had a pool this green as I did this year. My neighbor asked me to open theirs and it was even worst than mine, so expect to take about a week or so to completely clear the water. I just happen to write another article about my experience this year, the link is right above the comments, I recommend reading it because I used 2 quarts of algaecide concentrate, and my pool water stayed green as green could be. The I tried an algae destroyer called Banish, then my pool turned blue, but not clear. I used 2 0n my neighbors pool, so read the other article and let me know what you do and how it works out. This has been very helpful as my pool is crazy green upon opening. I won't bring the same company back this year. I'm new at this so forgive me. Immediately after I put the algecide in the pool, should the filter be running? For the whole 24 hours? If yes What setting? Just shock it to the recommended levels, any more would just be a waste, and use the packets, it has more in it then just chlorine and it will help clear the water faster. Do you have a self chlorinator? If not you should really think about it, once you get the chlorine to the proper levels, you can go a month without adding chlorine except for shocking after heavy use or rain. So your sand should be good too, I just put Zeo sand in my filter last year and it works so much better then the old sand, but you should be good for another 5 seasons. Thanks! I did put algecide in it like you had said. I am going to start vacuuming it today and see how it goes. Will have it on waste as well. How much should I shock it? Should I shock it with packets of shock? Oh, I have a sand filter. New sand was put in last season. Usually when I am done cleaning I add liquid chlorine to get the level up to where it should be. Thanks for your response you are oh so helpful! It's obvious they didn't use a winterizing kit. The first thing I would do is use an algaecide to kill the algae, wait a day and then vacuum the bottom, don't brush it, it will only make matters worst, even if you can't see the bottom, vacuum it, and when you vacuum the bottom, have the pump on waste so your not trying to filter all that algae, I know it wastes a lot of water, but the pool should be over full from winter. Once you done vacuuming it, shock it and let your pump run for 24 hours, check your pump pressure and back wash when needed. It will take about 3 days to see the bottom completely, but give the pump time to work it's magic. 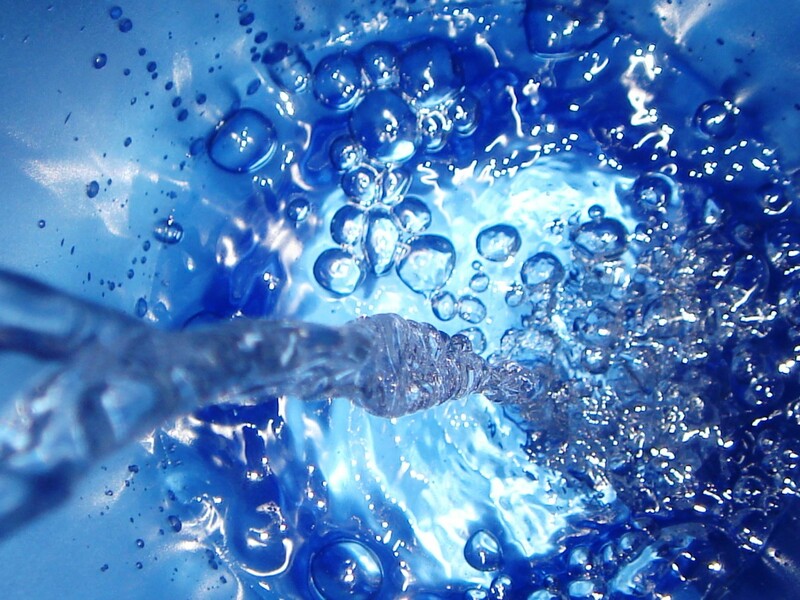 Do you have a DE filter or sand filter? Let me know how you make out Zag, take care for now. Helpul info. 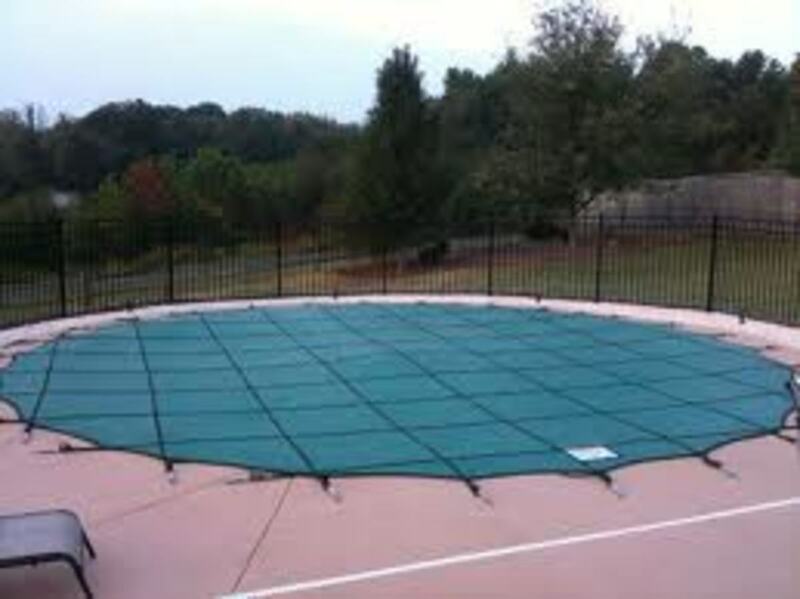 I have inground pool, use winter cover. just uncovered it for spring today. I have a lot of green algae, can't see the bottom. seems worse than other years. What the heck!!!! I am going to start to brush/clean it tomorrow. I have the pool people close my pool every fall so I am not sure why this is SO BAD. I am going to call them tomorrow and ask what to do. I hope it cleans good. I think I am in for a job.